It seems that every Catholic Parishioner heard of Miraculous occurrences during Medjugorje pilgrimages within their own local Diocese. "The Franciscans of St. James Parish in Medjugorje kept records of over 500 reportedly Miraculous healings, copiously documented. This led to Dr. Antonino Antonacci, an Italian physician, to establish the Bureau of Verification of Extraordinary Healings in 1987 since many of these cases were so remarkable" (1, 2, 3). The apparent inquiry arises; how can opponents to the Marian Apparitions occurring at Medjugorje claim that no Miracles ever transpired? 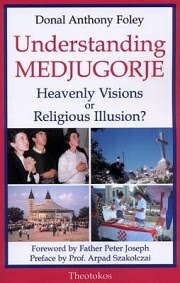 The author of one of the Most critical books to the Medjugorje Apparitions "Understanding Medjugorje"; Donal Anthony Foley explains: "these claimed healings need to be submitted to the proper judgment of the Church. Until this is done, the claims have no validity. My remarks in Understanding Medjugorje should be seen within that context. Since this "Bureau of Verification of Extraordinary Healings," did not come under ecclesiastical authority, none of its conclusions are of any value" (4). For instance, hypothetically; if Our Lady of Medjugorje were to make the Earth spin backwards, so that the Sun forever onward rose in the west and set in the east, it would be disregarded, as it would have to be approved by the Local Bishop, who hardened his heart against Our Holy Mother more than Pharaoh did with Moses. That, along with all the documentation compiled detailing the other countless miracles, would systematically be slid into his wastepaper basket. When author Donal Anthony Foley was exposed by Ministry Values for surreptitiously basing a large portion of the reasoning utilized in his hypercritical book "Understanding Medjugorje" on quotes from "lucifer's Echo and atheist sources, he responded: "some valuable critical points were made, which I hadn't seen elsewhere" (5). No kidding Sherlock, undoubtedly there would be critical venom in the mouth of lucifer, of the likes that couldn't be found elsewhere. Foley practically bases his entire chapter 13 (fittingly) on quotes from satanic orator Hector Avalos (6). Avalos is a lecturer for "satanism and the luciferian path" (7). His book: "The End of Biblical Studies" has been touted as "the "Synagogue of satan". Avalos' book "Fighting Words" acclaims Mein Kampf (8). For any conscientious Catholic, regressing to cooperating with the "prince of darkness" as a means to accomplish ones dirty work would have been a major red flag. Foley may have surrendered to the erroneous reasoning: "the enemy of my enemy, must be my friend". Notwithstanding, Foley's book is routinely utilized as the back-bone of arguments against the Medjugorje Apparitions by unbeknownst Catholics. Harvard and Yale scholar Daniel Klimek writes: "Why is a Catholic author using a Satanic magazine to challenge reported apparitions of the Virgin Mary? If we look closely at this source which Foley uses, the results are quite troubling. The editors of "Lucifer's Echo" mock all belief in God and religion while proudly elevating the name of the Devil - this is a major source that Foley uses to construct chapter 13 of his book. About religious people, the editors of "Lucifer's Echo" write: "As we find their values, such as faith in the non-existent, obedience to the imaginary and reverence of the ridiculous, repulsive, we adopt the name of their ancient antagonist [Lucifer] with pride. The editors of "Lucifer's Echo" can, in actuality, assist Foley in his impoverished attempts to deny the supernaturality of Medjugorje because on their site they explain that denying supernatural beings - thus, we can assume they mean beings like God or the Virgin Mary - is what they stand for: "We are atheistic as we do not believe in the actual existence of any supernatural beings or any transcendental reality." The most ironic aspect about Foley using this source is that in his book a major thesis that Foley tries to promulgate is that Medjugorje possibly constitutes "a diabolical intervention" (p. 232). The dubious reliability of such claims need to be considered in light of the disturbing fact that the author uses an online magazine which proudly elevates the Devil's name - while ridiculing religious people and any belief in God - to deny supernatural experiences of the Virgin Mary in a village where millions of people have found their faith in God" (10). In his stumbling misguided efforts to prove the Marian Apparitions at Medjugorje are a "diabolical intervention", Donal Anthony Foley unintentionally unearths the greatest testimony to the authenticity of the Apparitions, since Jesus made clear that satan cannot oppose himself. Jesus while defending Himself before the Chief Priests, Doctors of the Law, Pharisees and Scribes who were accusing Him of being of beelzebub, retorted: “How can satan drive out satan? If a kingdom is divided against itself, that kingdom cannot stand. If a house is divided against itself, that house cannot stand. And if satan opposes himself and is divided, he cannot stand; his end has come" (Mark 3:22-26). Jesus Christ Himself proves that Our Lady of Medjugorje is not of "diabolical intervention" because the atheists, luciferians and satanists are are in strong opposition to the Marian Apparitions at Medjugorje, therefore, unbeknownst to himself, Donal Anthony Foley has actually been beneficial. Father Svetozar Kraljevic of St. James Church reports that another team of 12 university professors, scientists and medical doctors from different fields observed Vicka, Marija and Ivan in Milan, Italy for five days in April 2000. This was the most serious approach with the most sophisticated equipment ever done on the visionaries. Findings are pending at this time. A controversy exists today regarding the importance of Mary. Some people feel that she was simply the earthly mother of Jesus and that too much honor is given her, detracting from our worship of God. Christian tradition holds, however, that at the crucifixion, Jesus gave His Mother Mary to each of us as our spiritual mother. The apostle John was present with Mary as Jesus said, “Behold your Mother.” (John 19:27). Thus, many believe that Mary’s purpose on earth was to bear the Son of God, the living bread. Through her, with her, and in her, God became man. 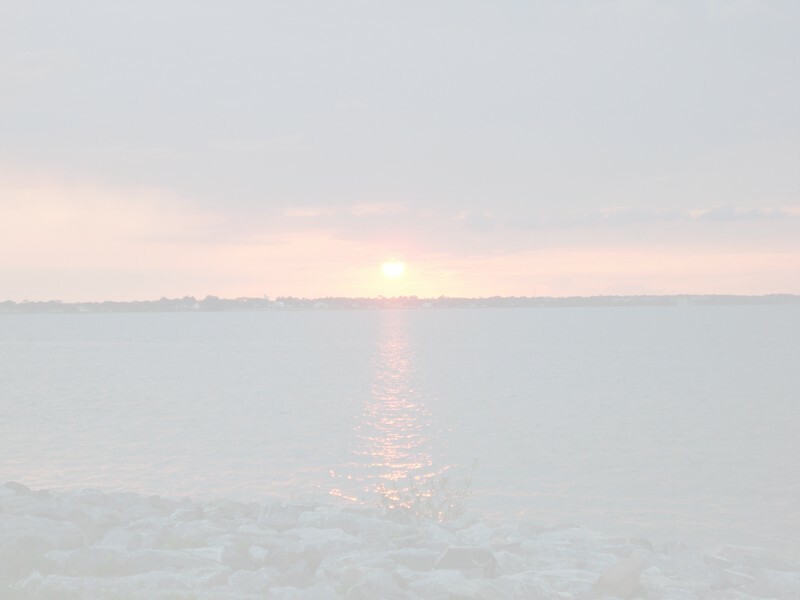 Her purpose now as God’s most perfect servant is to bring us closer to him. Her messages focus on those of the Bible as she urges us to pray to her son. And since we often ask our earthly mothers and others to pray for us, it is quite natural to ask our Heavenly Mother to pray for us also (11).